¡HOLA QUE TAL AMIGOS GALLEROS! 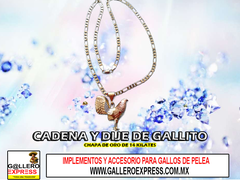 TE COMPARTIMOS NUESTRA EXPERIENCIA EN EL MUNDO DE LOS GALLOS, ASI COMO VIDEO BLOGS, CONSEJOS Y RECOMENDACIONES. ¡ESPERANDO QUE SEA DE TU AGRADO! "ALGUNOS DE NUESTROS ENVÍOS REALIZADOS"
RECUERDA QUE PARA HACER TU PEDIDO ES EN LA PESTAÑA "TIENDA"
"O COMUNÍCATE A LOS TELÉFONOS DE CONTACTO"